Organizations are well underway on their digital transformation projects and many are now in the process of scaling these efforts. Businesses have reached a tipping point when it comes to digital transformation, with 33% of them saying that they are at the stage where they are scaling their initiatives, up from 17% last year. That's according to Gartner's 2019 survey of more than 3,000 CIOs. 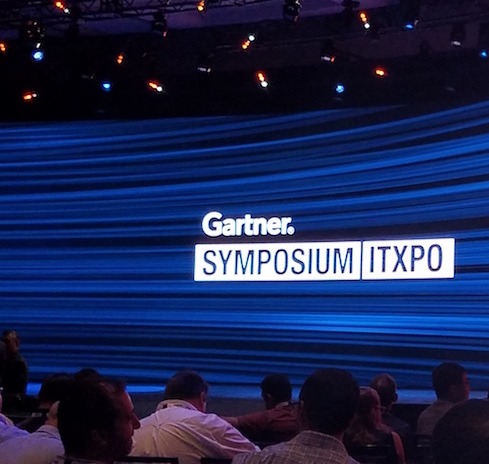 But if you were at Gartner Symposium/ITExpo in Orlando this month, you didn't need a survey to realize that we've reached the tipping point. The gigantic-sized crowd at this IT conference and their appetite for more information about sophisticated technologies such as AI, demonstrated just how much technology is now underpinning and enabling every organization's mission. The focus was on creating value for the business rather than just supporting it. The talk was of adding to revenues rather than just serving as a cost center. These are themes that have been discussed on the IT trade show circuit for years. Their time has arrived in a big way. There are many forces that have been pushing IT along to this tipping point, but Gartner said that one has emerged as a major force. Consumer engagement via digital channels is the primary driver for this move to scale digital transformation, according to Gartner. "The ability to support greater scale is being invested in and developed in three key areas: volume, scope and agility. All aim at encouraging consumers to interact with the organization," said Andy Rowsell-Jones, Gartner vice president and analyst. "For example, increasing the scope means providing a variety of digital services and actions to the consumer. In general, the greater the variety of interactions that are available via digital channels, the more engaged a consumer becomes and the lower the costs to serve them are." Artificial intelligence and cybersecurity are at the top of list of technologies that CIOs say they expect to be most disruptive, according to the Gartner survey. Cybersecurity commanded the most attention, with 88% of CIOs saying they had already deployed it or had it in short-term planning. That was followed by artificial intelligence. A full 37% of CIOs said they had already deployed AI technology or that deployment was in the short-term planning stage. At a session during the conference, Gartner vice president and analyst Janelle Hill noted that a range of AI technology projects are underway in many enterprises and said that chatbots may be among the first that organizations have implemented. The fact that companies such as Amazon have done some of the early work to make chatbot engines such as Amazon Lex available to enterprises has probably given a leg up to these early efforts. But the big breakthrough in this area is still 5 to 10 years away, Hill said, and CIOs should reset expectations with their boards. In 2017, 3% of customer service interactions were handled by conversational agents. She expects that number to rise to 30% by 2023. Rowsell-Jones issued a similar cautionary note about the state of enterprise AI. "On this surface this looks revolutionary," he said "However, this bump in adoption rate of AI (to 37%) may indicate irrational exuberance instead. While CIOs can't afford to ignore this class of technologies, they should retain a sense of proportion. This latest batch of AI tools is yet to go through its trough of disillusionment." What should CIOs have as a top priority for 2019? Rowsell-Jones said they excelled in scaling their digital businesses in 2018. Next year they need to take that effort to the next step by putting that digital business on a stable and secure base. "Success in the third era of enterprise IT hinges on a sound strategy that combines new, disruptive technologies with a rebalancing of existing investments," he said.